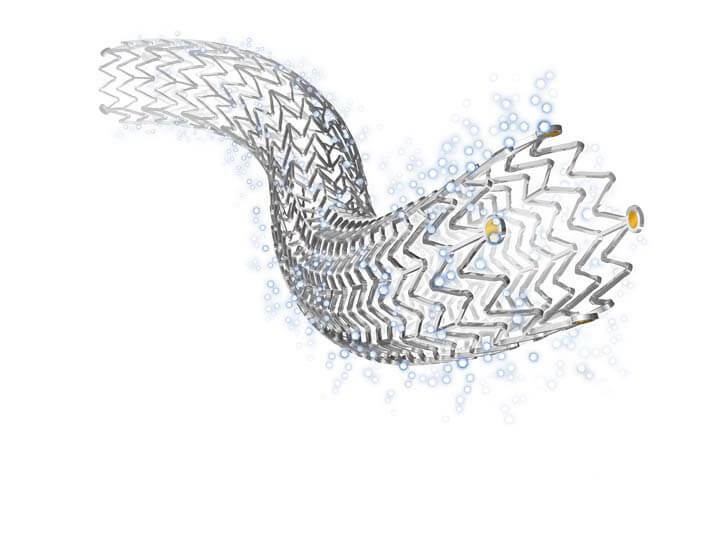 Data from the Zilver® PTX® Randomized Controlled Trial of Paclitaxel-Eluting Stents for Femoropopliteal Disease showed 5-year primary patency of 66.4 percent in the superficial femoral artery (SFA) for patients treated with Cook’s paclitaxel-eluting stent. This compares to 43.4 percent patency for patients with balloon angioplasty or provisional bare metal stent placement. Dake M. The Zilver PTX randomized trial of treating femoropopliteal artery disease: 5-year results. Presented at: Vascular Interventional Advances (VIVA); November 4-7, 2014; Las Vegas, NV.